Today the Mickey Mouse Club is probably most well known for launching the careers of 90s and 2000s pop-stars Britney Spears, Christina Aguilera, Justin Timberlake and Hollywood movie star Ryan Gosling. 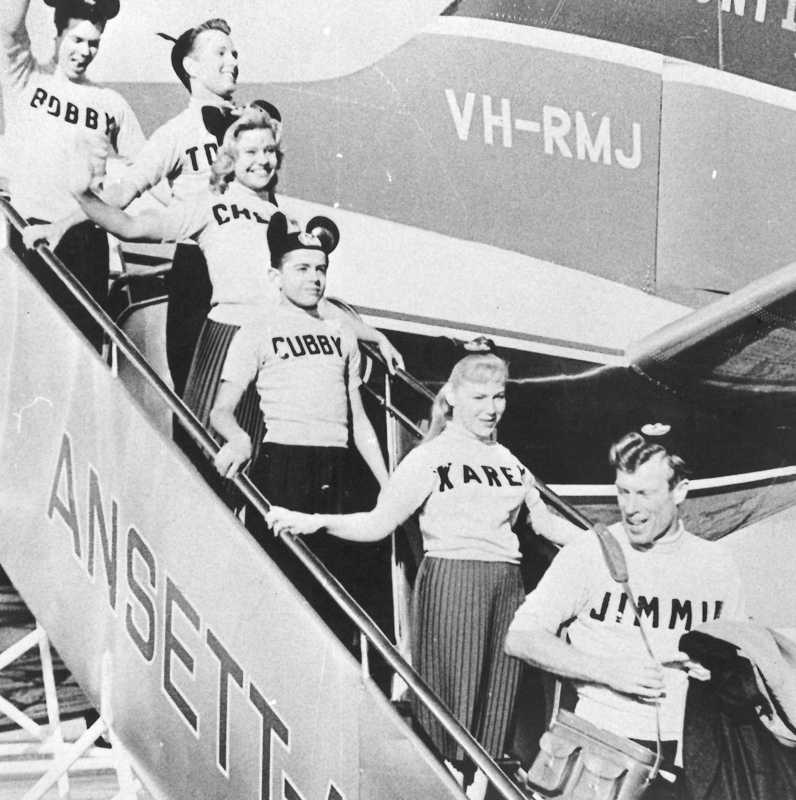 But did you know that Australians first got their taste of the Mickey Mouse Club "Mouseketeers" way back in 1959? 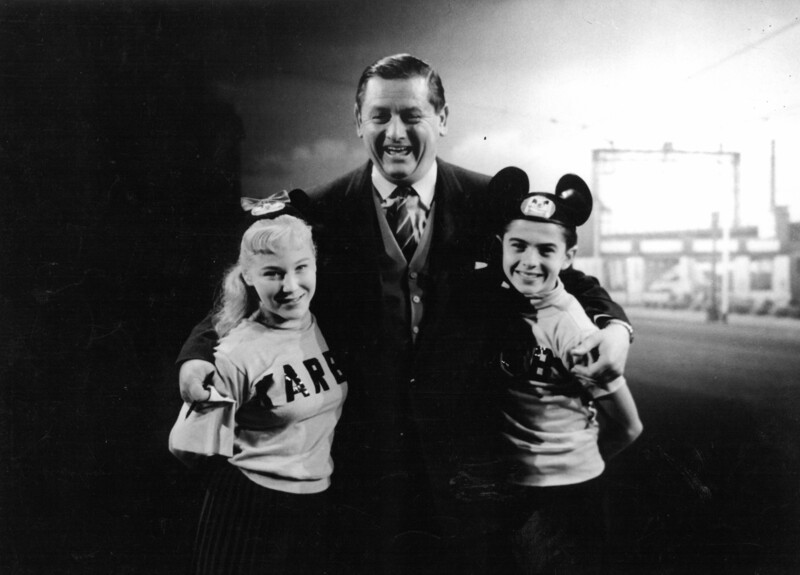 The Mickey Mouse Club was a popular TV show hosted by Mickey Mouse with talented kids performing comedy and musical acts in front of a studio audience. The original ran from 1955 to 1958 (in the US) with later incarnations including The New Mickey Mouse Club in 1977 and of course The All New Mickey Mouse Club running from 1989 to 1995. 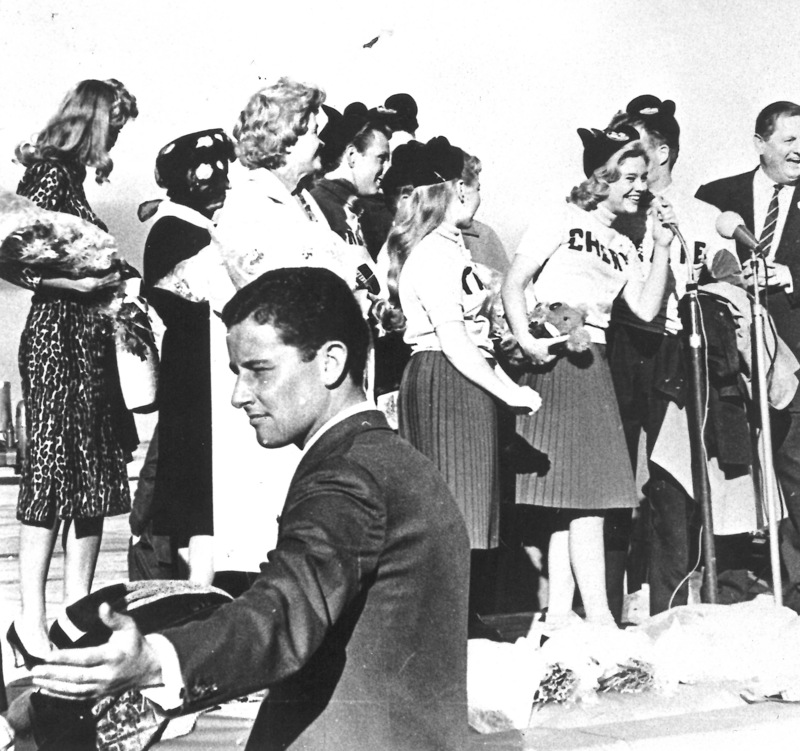 Though the show had finished filming in the US, it had only just started airing in Australia and was extremely popular, so the "Mouseketeers" made their first visit to Melbourne in 1959. 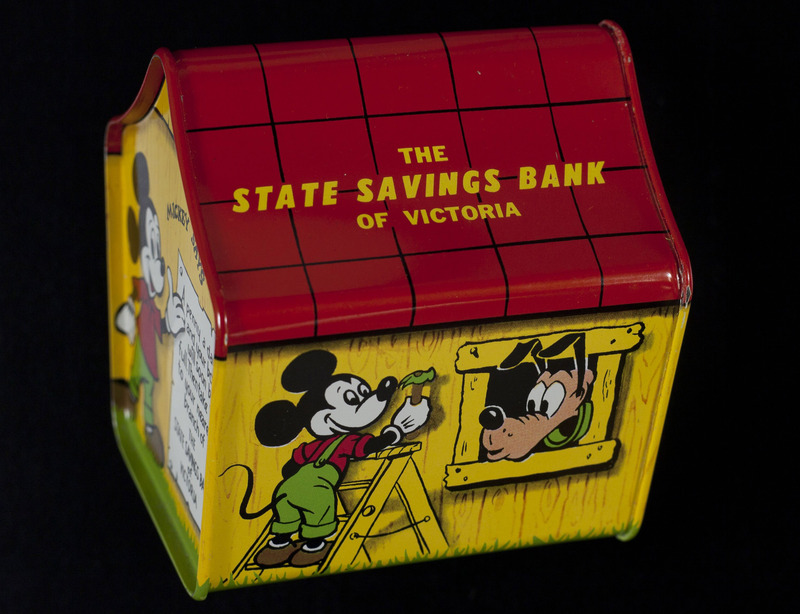 During the successful tour, where apparently Australians were surprised by how much the children had grown, the State Bank of Victoria engaged the group for various promotions. 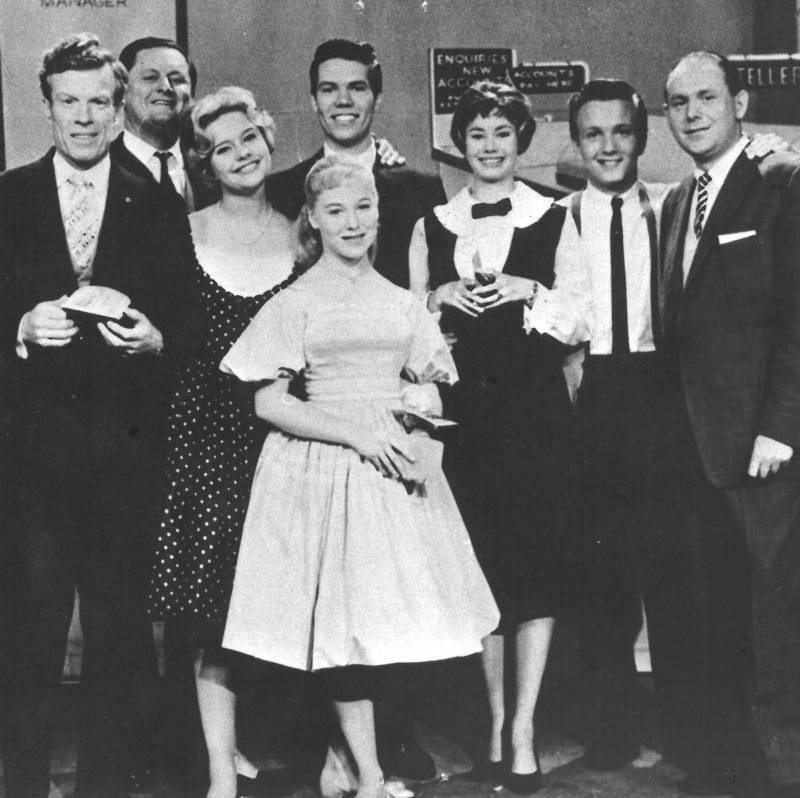 Peppered throughout our State Bank of Victoria Photographic Collection, you can find numerous physical photographs featuring the Mickey Mouse Club actors in promotional materials, attending events on behalf of the Bank including Moomba, on regional tours and as part of television specials. 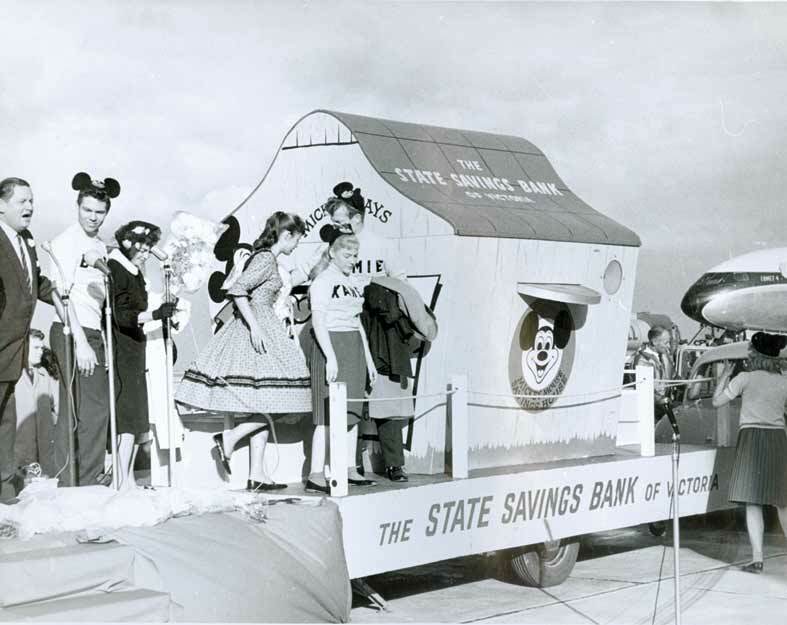 According to the State Bank of Victoria's June 1959 Progress Magazine, available online through the State Bank of Victoria social network site here, a record half a million people got a chance to see the Mickey Mouse club aboard the State Savings Bank float escorted by 70 local school children. After Moomba, the float then toured Dandenong, Brunswick, Traralgon and Bunyip in various festivals and events. 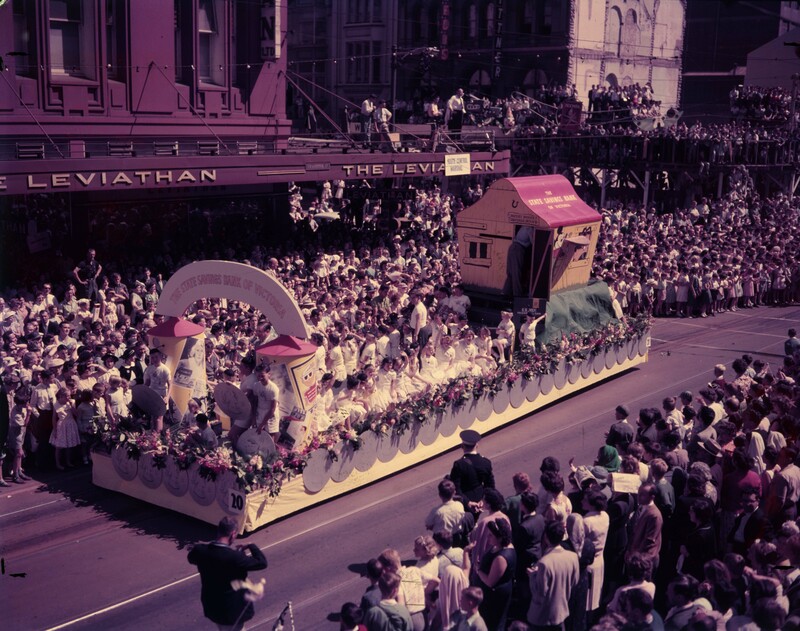 The float itself was a giant replica of the Mickey Mouse money box, a promotional piece of the Bank. 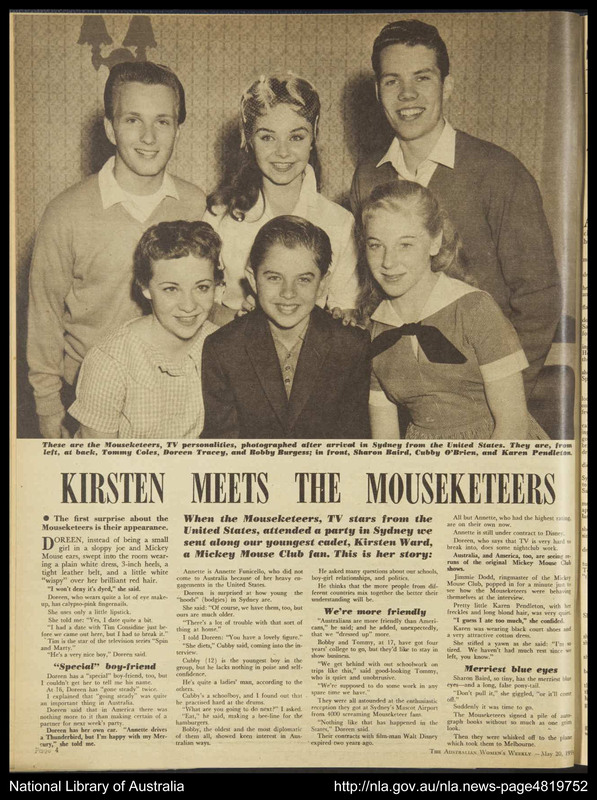 The Australian Women's Weekly profiled the "Mouseketeers" in their May 1959 edition. 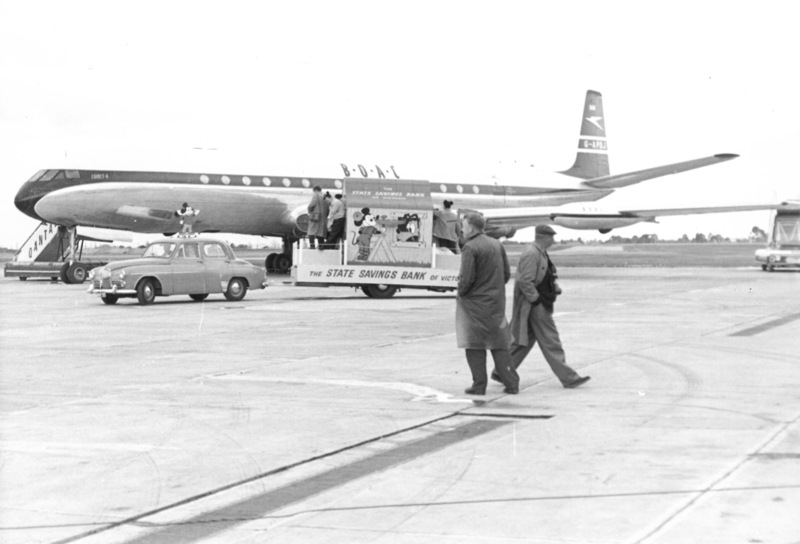 "They were all astounded at the enthusiastic reception they got at Sydney's Mascot Airport from 4000 screaming fans." A follow-up "Where are they now" style article in the same publication in 1981 revealed that Tommy Cole went on to become a makeup artist while Sharon Baird worked in animation as a voice-over artist. Most impressively, Cubby played drums for the Carpenters! Cheryl of course became famous for her role as Julie Foster in Leave it to Beaver in the 60s. She also appeared in My Three Sons and Bewitched. Our State Bank Collection is not digitised but the physical records and photographs can be ordered for viewing in the North Melbourne Reading Room. 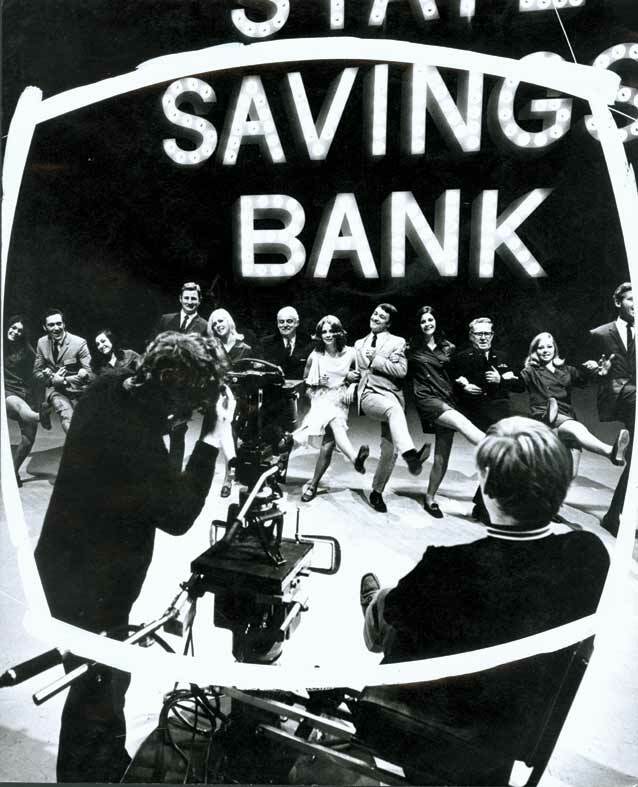 The State Bank Photographic Collection includes photos of various branches, bank personnel, bank interiors and promotional material. View and order the records here. There are also collections of maps and plans, ephemera and other materials across six series of records under the State Bank of Victoria agency. Click here to view them all.